3 Bedroom Semi Detached House For Sale in Liverpool for Asking Price £130,000. 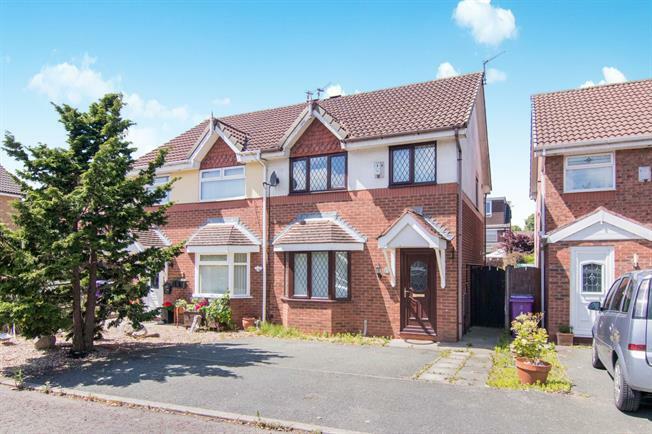 Entwistle Green are delighted to offer for sale this well-presented family home which is being sold with no ongoing chain. The property briefly comprises of an entrance hall, through lounge/ dining room, kitchen, three bedrooms and a family bathroom. The home also benefits from central heating and double glazing. There is a well-maintained garden to the rear and a driveway to the front. Call early to avoid disappointment! UPVC front double glazed door, opening onto the driveway. Radiator, laminate flooring. Double glazed uPVC bay window facing the front overlooking the garden. Radiator and electric fire, laminate flooring, under stair storage. UPVC patio and double double glazed door, opening onto the garden. Radiator, laminate flooring. Double glazed uPVC window facing the rear overlooking the garden. Tiled flooring. Built-in units, stainless steel sink, integrated oven, gas hob. Double glazed uPVC window facing the rear overlooking the garden. Tiled flooring. Built-in WC, panelled bath, shower over bath, pedestal sink.